NYC, 02/28/2019, 6:00PM. How To Find Your Own Path To Success. 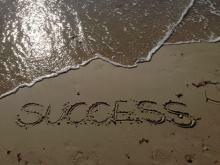 What does it mean to be successful? How do you get there? With all the complexities of modern life, our changing economy and digital culture, the markers of success are constantly shifting, confusing or just plain elusive. Kristina Leonardi shares tools, tips and insights to help further you along the path to your own personal and professional fulfillment and finding your place in world, no matter how you define success for yourself. Kristina Leonardi is founder of The Women’s Mosaic, a nonprofit organization that promotes intercultural understanding and empowerment among women. Previously, she held the position of Vice President of Sales for a promotion item firm. She is one of the coaches at NY Women in Communications and is a vetted coach as part of The Muse’s Coach Connect.